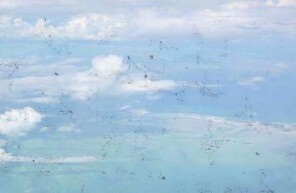 Have you ever seen those little squiggly things that appear to move past your field of vision? Are your eyes tired when they appear? Do they show up when you have dry eyes? Maybe they’re not squiggly, but more like dots or even web-like? If this has happened to you, you’re not alone. Many people suffer from these visual oddities; they’re called, among other things, Eye Floaters. 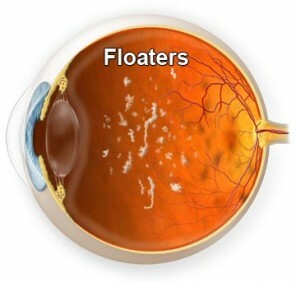 What is there to know about Eye Floaters? Yours is very likely different, even unique, compared to others who see these same marauders of the vitreous. Can stress cause Eye Floaters? Can dry eyes? The information about causes is extremely important as it can determine if treatment is even needed. 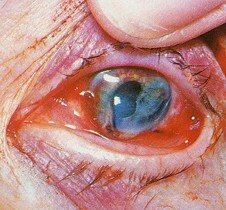 And, if indeed you do need treatment, the cause of your Eye Floater will be very important in determining whether you need immediate care (to prevent blindness) or you can wait. We discuss in detail each possibility in this revealing and informative series. We could even call this a “discussion” as we have a Comments Section that we encourage each visitor to this site to use. We want to hear from you. We want all the feedback you wish to give. This type of environment allows freedom; freedom from embarrassment and lack of information. The odds are, if you are wondering about it, someone else is also. Be the spark that ignites a bonfire of education. 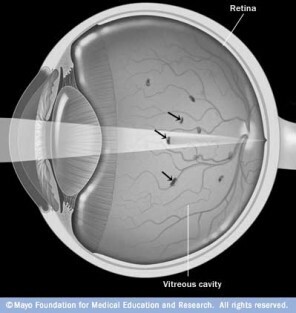 The things you can do to cope or get rid of your Eye Floaters are discussed in these pages. Find the best option for you or your loved one, and find out how to pursue it. Again, maybe leave your story in the Comments Section, who knows how many people you will be helping by opening up about your embarrassing situation. It’s time to quit “putting up with” those annoying Eye Floaters and Flashes that move across your eyes. Here you will find information on relief, and a forum for your thoughts and questions. If you’re here because your Eye Floaters are driving you crazy, read on!